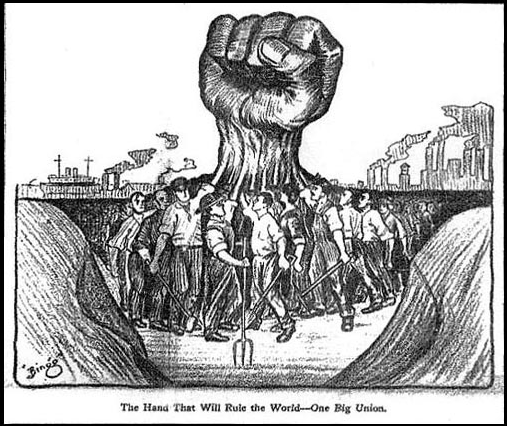 The Hand That Will Rule The World, One Big Union. Poster from a 1917 IWW newsletter. 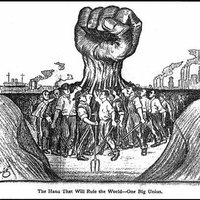 Ralph "Bingo" Chaplin, “The Hand That Will Rule The World, One Big Union.,” The Fist is Still Raised, accessed April 25, 2019, http://raisedfist.femmetech.org/items/show/2.